Home How And Where To Sell Old Car Battery For Maximum Profit? How And Where To Sell Old Car Battery For Maximum Profit? Cars are a necessity of the modern life, and the world is now unimaginable without these vehicles carrying us to our homes, workplaces, vacations— just about everywhere relevant to our daily lives, actually. Sadly, cars do not last forever, and neither do its components. But you can take advantage of this fact, and even earn a little money by selling them. For example, there are many places where you can sell old car battery. When you find yourself dealing with just too much old car batteries, some of which were accumulated over the years, these places may be the answer to your woes. Not only can they offer to dispose or recycle the old car batteries properly, they can also pay top dollar for every battery you sell them. It is a win-win situation— you do your part to help keep the environment clean and free of unwanted toxic or corrosive leaks, and they may also pay you for your effort in doing so. 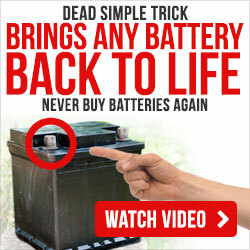 This is one of the most obvious places for you to sell the old batteries. There may be branches nearest to your place, and they could even be one of the popular places like Napa, Autozone, O’Reilly, or Advanced Auto Parts. These places usually pay anywhere for $5 to $12 for used batteries, although sometimes they also issue those as store credit. This is especially he case when you are also selling a new battery at the same time that you are selling an old one. However, do not expect too much because they are not really required to give store credit. However, if you just want to get rid of some old used batteries the “right” way, you can always just make them recycle the stuff, as this should be for free. There places that specifically cater to those who want to get their hands off some used batteries. Your local Auto Parts store may not be willing to pay you for the old stuff, but scrap yards and metal recycling centers may want them. Of course, these sites not only purchase batteries but other old appliances as well, so you can stack those with the list of things you want to sell. Selling in bulk is important, too, as these places tend to pay more when you sell them stuff in bulk. Now, this could be a sack of old car batteries or maybe a combination of batteries, old appliances, and scrap metal you do not use or need any more. In any case, if you can sell in bulk, it is a generally better idea to do so. As for scrap yards, what they usually want in a battery is the core, which can be recycled for other uses. This core is made of lead, and they have a running rate for that specific material per pound. The rate usually goes at 33 cents per pound, and the average battery core is worth 21 pounds of lead, so you may get about $7 for every battery you sell. It helps to contact the places first if you want to inquire about their rates when purchasing materials. A quick Google search could turn up a list of scrap yards and metal recycling centers in your area, complete with addresses and phone numbers. Ah, the old Craigslist. This is the little corner on the internet where every item and service imaginable is needed and sold. It comes as no surprise that the site will have a fair share of people that will want to buy used batteries. SO if you have some to sell, Craigslist also is not a bad place to start looking for buyers. The site will be more geared towards those people with batteries that are slightly used, and still can be used efficiently for other purposes. For example, if you feel the need to replace or upgrade your battery while it is still pretty much in top condition, Craigslist buyers may be all to happy to get the slightly used battery off your hands. Being that Craigslist is basically a community, it is hard to predict a fixed rate. It all comes down to negotiation. The profit you will turn in will largely depend on the preferences of the user, and of course the quality of your battery. 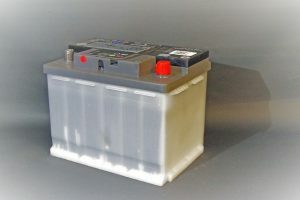 Like Craigslist buyers, Auto Repair shops will mostly buy used batteries that are still fairly serviceable and can still be effectively used for other purposes. This is because repair shops have customers that do not plan on buying brand new batteries, opting for old batteries that still have some usability in them instead. Of course, there are also people who go to these shops to take their cars for repairs, and spare batteries may be the needed parts. Your old but useable battery may just give life to and old but newly-repaired automobile. Auto repair shops are more strict, though, and they will subject your battery to some tests to ensure that it is free of defects. However, they also pay potentially more than Craigslist buyers could, and so they might be worth checking out first if your used battery is still in tip-top condition. Pawn shops may be one of your last resort options when trying to sell a battery, but it is still worth looking into when the above mentioned places are not available or viable for your current situation. Of course with a pawn shop, there is a middleman who, like you, would also want to turn in a profit. So when dealing with them, you should not expect to gain as much as, say, and auto repair store or scrap yards. This is because the middleman — a person or even a company itself — also takes a cut from the gross profit from the sale of the battery. However, one advantage the pawn shop has over other places is that it can give you quick cash for your item if you really need them. So if you find yourself in need of cash for an emergency, a pawn shop may help save you from the expense. eBay is another online site like Craigslist, but it is more general in its approach and the clientele could be looking for just about anything. Unlike Craigslist who only most likely want useable batteries (like auto repair shops, too, for that matter), eBay users can be looking from anything from useable, old, to even dead batteries. If you find that no one is willing to buy the specific battery you have right now, chances are someone on eBay would want it. The site rarely restricts item on sale, and so anything goes and usually, it is on this site that collectors try to find very specific stuff. Of course, there are also buyers who want a very specific brand and type of battery, but want it for a lower price than what their local stores offer. One important thing to note is that if you plan to sell in bulk, you might want to indicate that it is available for local pick-up only. This is because the cost of shipping may actually be more expensive than the profit you would turn in. Or at least, it would eat into a fair share of the profit, which defeats the purpose of selling the stuff. Set the bulk sale for local pick-up, if at all possible. Of course, you can also set up a yard sale yourself! Not only can you sell old batteries, but you can also sell some old stuff that have been stocked in you garage or attic for a while. You can also decide for reasonable prices for these items, and chances are your neighbors might have something you need. The profit you get at a yard sale might not be as great as when you sell them to the other options already mentioned, but being that it is your yard sale, you can decide for the most effective use of your time. And, as mentioned, it has the implied advantage of being able to sell other used stuff. You may not get as much for your batteries, but selling the other items showcased on the yard sale might help offset the profit. These are just some of the places that you can sell your old batteries. There are a lot more, but if you are at a loss on where to start, these places are the best ones to check out first. So far in the article, we’ve assumed you have used batteries lying around to gain money, but that is not always the case. Of course, you can try and find old, used batteries and turn them in on one of the places for profit. In any case, it should no t be hard to sell old car battery nowadays, especially now that the internet has become an almost universal platform. There are many possibilities, and it is up to you to explore these and many other options!